As a Badger distributor, we have fire extinguishers for every application.�We are a distributor for JL Industries, Samson, and Larsen fire extinguisher cabinets and access panels.�We sell a variety of life safety products, including emergency escape life ladders and first aid kits. We have a wide variety of signs along with exit and emergency lighting and accessories available. 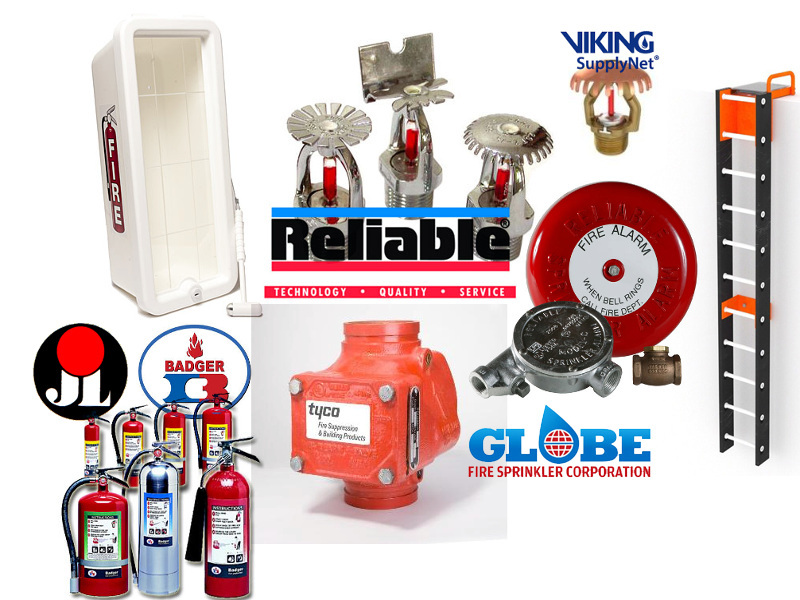 ��We stock an assortment of fire sprinklers from most of the major manufacturers including Gem/Tyco, Globe Fire Sprinklers, Reliable, and Viking Supply Net.